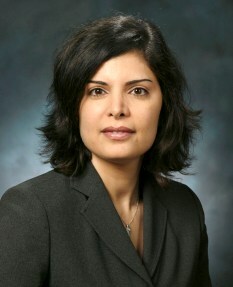 Tina Eliassi-Rad is an Associate Professor of Computer Science at Rutgers University. Before joining academia, she was a Member of Technical Staff and Principal Investigator at Lawrence Livermore National Laboratory. Tina earned her Ph.D. in Computer Sciences (with a minor in Mathematical Statistics) at the University of Wisconsin-Madison. Her current research lays at the intersection of graph mining, network science, and computational social science. Within data mining and machine learning, Tina's research has been applied to the World-Wide Web, text corpora, large-scale scientific simulation data, complex networks, fraud detection, and cyber situational awareness. She has published over 60 peer-reviewed papers and has given over 100 invited presentations. Tina is an action/associate editor for the Data Mining and Knowledge Discovery Journal and the IEEE Transactions on Knowledge and Data Engineering. She is also a member of the editorial board for the Springer Encyclopedia of Machine Learning and Data Mining. In 2010, she received an Outstanding Mentor Award from the US DOE Office of Science. For more details, visit http://eliassi.org.